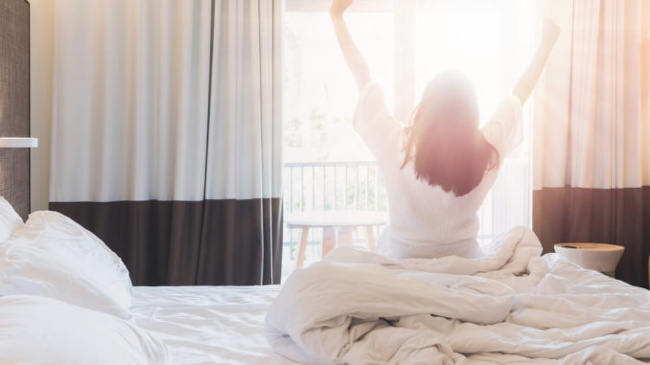 A global study commissioned by InterContinental Hotels Group finds that a lack of sleep is a primary concern for travelers. According to the research, 80 percent of travelers have trouble sleeping when away from home. Traveling causes an imbalance in the bodys biological clock, disrupting 24-hour cycles known as circadian rhythms. These rhythms are measured by the rise and fall of body temperature, plasma levels of certain hormones, metabolism and other biological functions. All of these functions are influenced by exposure to sunlight. Now a global study commissioned by InterContinental Hotels Group finds that a lack of sleep is a primary concern for travelers. According to the research, 80 percent of travelers have trouble sleeping when away from home. Among the other key findings: The business traveler loses around 58 minutes of sleep each night when staying away from home, averaging just 5 hours and 17 minutes of sleep. According to the new research, the biggest causes of a restless nights sleep for those traveling are different environment, unfamiliar noises, and working late. Light is the major environmental time cue that resets the circadian clock in our brains each day, which is easily thrown off when traveling. Over two thirds (67%) of travelers surveyed stated they feel more tired when they are away from home. To aid sleep, nearly a half either try listening to music (47%) or watching TV (45%) to try and fall asleep. In an effort to help travelers combat a restless night away from home, InterContinental Hotels Group (IHG) has piloted the use of portable and versatile JOURNI Mobile Task Light. Developed by Healthe by Lighting Science, the light is designed to help regulate sleep when traveling. IHG is the first hotel company to pilot the product. According to a company spokesperson, Crowne Plaza Atlanta Airport will be the first IHG property to install the JOURNI Mobile Task Light in guest rooms. Designed using Healthes patented GoodDay and GoodNight spectrum technologies, JOURNI allows access to the alertness and focus-enhancing spectrum during the day, and then easily change to the warm, sleep-enhancing spectrum at night. This dual-spectrum luminaire is aimed to bring energy-efficient, circadian lighting right to the hotel room. Any technology that can help travelers get a good nights sleep is sure to enhance the guest experience. Hotel Technology News, published by Starfleet Media, is the hospitality industrys premier source of information and insights related to technology innovation at the worlds leading hotels and resorts. Click here to read more articles or to subscribe to the Weekly Dispatch newsletter.